Ergo Pte Ltd is a keen supplier of Ergonomic products. We strive to bring to consumers quality and innovative products that help improve health and well-being of people in all ages and physique. 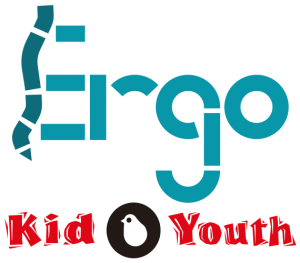 Ergo is the trusted sole agent/distributor of Kid2Youth in Singapore. About the logo. Ergo stands for Ergonomic. The vertical line on the first letter E, represents the spine. The spine plays an important part in keeping our body in its right posture. The main purpose of our products is to help protect the well-being of the spine and body. It is leaning slightly forward to depict constant forward moving, determined to achieve more in life. We have chosen the turquoise colour for our logo as it is a combination of blue and green. Blue symbolises water which is the primary source for life and green relates to environmental friendliness. Ergo’s selection of products revolves around the concept of living well and use of materials that are environmentally safe and friendly. Kid2Youth has in the past 30 over years (established in 1983) been Taiwan’s premier furniture manufacturer. It was the first company to start producing melamine K/D furniture and was also the first company to have a nationwide chain of furniture stores. It has grown and learnt that producing quality products is much more appreciated than just considering the lowest cost option. It has learnt through their years of experience in this industry that only the best products will succeed. It imports good quality materials such as the Stabilus-Gas Lift from Germany and the E0 MFC Chipboard from Austria. All other components were sourced and manufactured in Taiwan, especially its Rolled Steel is made in the Top Steel Mill in Taiwan. The Rolled Steel is also powder coated so as to provide long-lasting protection. Kid2Youth’s devotion in research and development and thoughtful design creates products that fit the human body geometry. Kid2Youth, a brand that you can rely on.